Facinelli Motors is family owned and operated. We have built our reputation as the highest quality Subaru, Toyota, Honda, and Japanese Import repair facility in the Tri-Lakes area. The owner, Thom Facinelli, started with a one man, one bay facility in 2002. 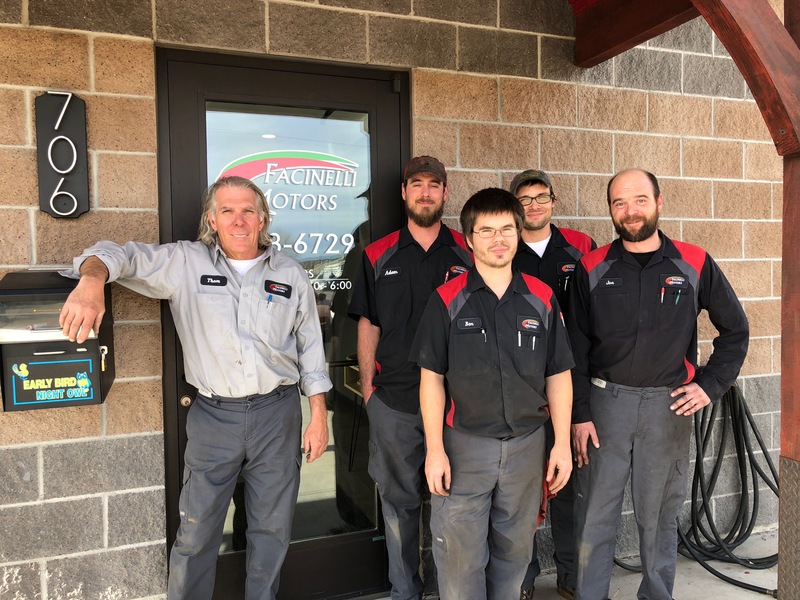 Facinelli Motors has been growing with the community ever since. Thom has been factory trained in Subaru, Toyota and Honda vehicles, achieving master Certifications, as well as ASE Master Certifications. He has personally trained his staff to meet the challenges of today’s complex vehicles. We provide fair prices, honest work, and take pride in knowing that our customers have trusted us with their automotive needs. At Facinelli Motors, we promise to provide customers the highest quality service and repairs at reasonable prices. Our honesty and integrity provide peace of mind, and our skilled staff is dedicated to ensuring the best service and repairs in the area.